Beth Wolf is the founder and Producing Artistic Director of Midsommer Flight. Beth’s directing credits include As You Like It, Twelfth Night, Macbeth, Much Ado About Nothing, Romeo and Juliet and A Midsummer Night’s Dream with Midsommer Flight; LIAR!, which won first place in the 2012 City Lit Art of Adaptation Festival; Rosencrantz & Guildenstern are Dead, Black Magic: An Evening of Shakespeare, Seascape with Sharks and Dancer, Bury the Dead, The Fantasticks, and Shakespeare in the Garden (Promethean Theatre Ensemble). 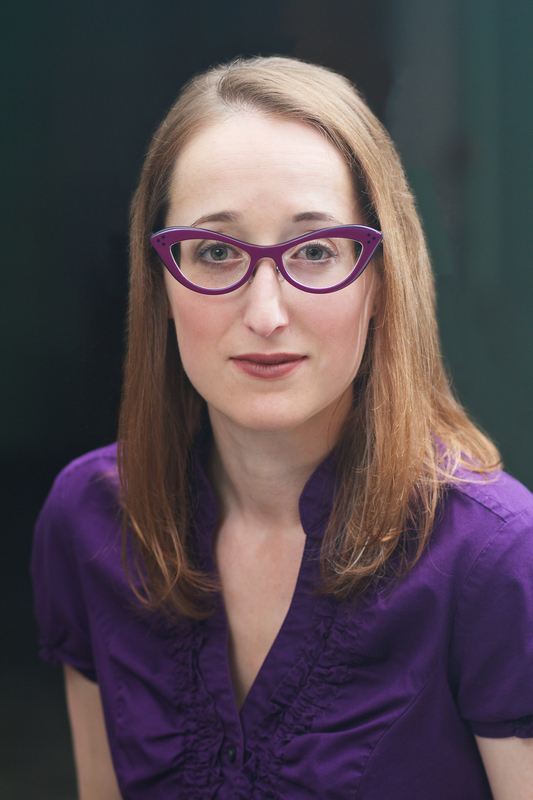 Additionally, she has directed for festivals, staged readings, and assistant directed with companies all around Chicago, including Remy Bumppo, the side project, City Lit Theater, Polarity Ensemble Theatre, and more. Beth is also a co-founder and the former Artistic Director of Promethean Theatre Ensemble. She is a proud Northwestern University graduate with a double major in theatre and gender studies. Also an actress, Beth has worked with companies around Chicago including Promethean Theatre Ensemble Tangerine Arts Group, Chicago Jewish Theatre, Smoke & Mirror Productions, GroundUp Theatre, and the all women’s improv group Valid Hysteria. Shakespearean acting credits include Isabella in Measure for Measure (Promethean Theatre Ensemble); Lucentia in Taming of the Shrew (GroundUp Theatre); and Rosalind in Love’s Labours Lost (Lovers & Madmen). Beth has studied Shakespeare’s First Folio with Chicago’s premier First Folio acting teachers, Susan Hart and Jeffrey Carlson. She is also a graduate of the training center at iO Chicago (formerly ImprovOlympic). As an arts educator, Beth offers private coaching to actors and occasionally teaches professional development workshops with Midsommer Flight. She has also mentored teenagers through Promethean Theatre Ensemble’s partnership with the Chicago Public Library Teen Volume Reader’s Theatre Project; taught Shakespeare workshops to young girls with The Viola Project; musical theatre to 8 year olds at Apple Tree Theatre in Highland Park; and musical theatre and improv to 9-13 year olds for seven years at Arts Unlimited summer camp in Southern California.